The new XSM D2+ LC (Long Cycle) L-5S is designed specifically to cater for the needs of underground mine operators that need higher speed capabilities from their loader tires. To maintain high levels of productivity, some underground mine operators are using their loaders for all their operations, including load, haul and dump, leading to longer cycles than standard practise. This type of vehicle usage requires different tire specifications with a higher distance-per-hour capability. 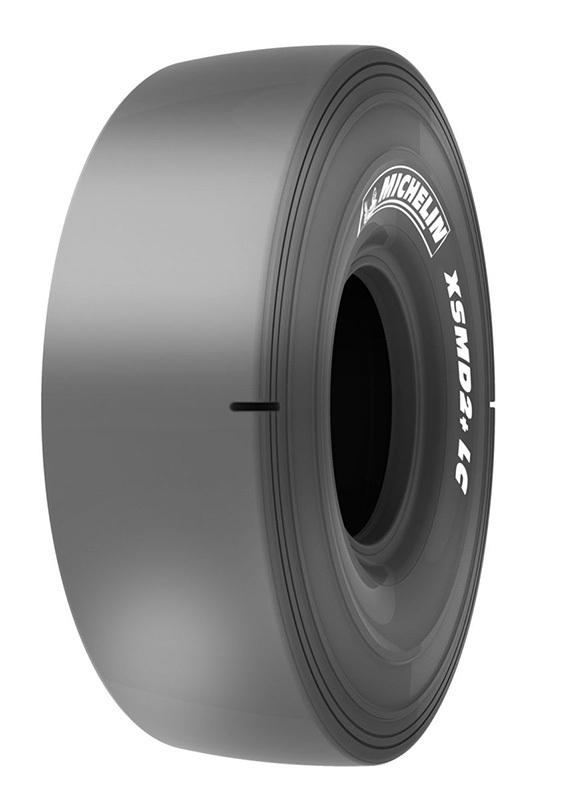 The new XSM D2+ LC L-5S tire is able to cover a distance of up to 6km per hour compared with the current tire’s limit of 4km each hour (Michelin XSM D2+). This 50% increase in operating speed has been made possible by a new casing design and tread compound which allow the new tire to operate at a lower temperature. The new tread compound is also very resistant to cuts, leading to an overall reduction in machine downtime, improved efficiency and therefore cost savings for the operator. The tire also features crown and sidewall protection, which offers high levels of damage resistance, even under the most severely abrasive operating conditions. All brand names and trademarks are properties of their respective owners and are used just for identify parts and components of machinery or vehicles.